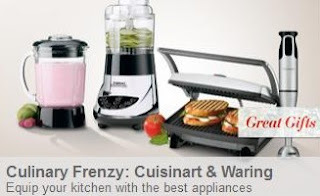 Up to 75% off Cuisinart & Waring Kitchen Products! There is a big sale going on at HauteLook right now, with Cuisinart and Waring products up to 75% off! For example, you can get a $100 stainless steel skillet for just $25!